Date: May 18, 2018. 3.30-4.30 p.m. Location: University of Amsterdam, University Library, Singel 425, Amsterdam. Abstract: This lecture tackles the issue of teaching Cypriot medieval literature to a non-specialist audience, studying in a different discipline, proposing a multimodal approach as an effective teaching strategy with significant learning outcomes. As a case study demonstrating the effects of such an approach, I will discuss my experience with a class of first-year students at the Vladimiros Kafkarides School of Drama, who are enrolled in the undergraduate course (BA) in Acting. Their program of study includes both practical and theoretical modules, including a module on the History of World Literature, mandatory for the first three years of study, which spans from medieval to modern literature. The first-year module covers mainly European literature from the 12th to the 16th centuries, while including a significant section on Cypriot literature, with particular emphasis on the Chronicle of Leontios Makhairas, for purposes of comparison and contextualization. In this paper, I will focus on the lesson planning strategies I implemented in teaching Makhairas and present the results of the students’ creative interaction with the taught materials, demonstrating the merits of a multimodal, interactive approach for drama students. 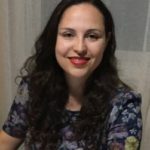 Bio speaker: Efthymia Priki was awarded her PhD in Byzantine Studies from the University of Cyprus in 2016. Her thesis, which she is now in the process of turning into a book, deals with dreams of initiation, focusing on the Tale of Livistros and Rodamne, the Roman de la Rose, and the Hypnerotomachia Poliphili. She has given talks and has published articles related to comparative literature, dream narratives and text/image studies and she has taught medieval and byzantine literature at the University of Cyprus and the Vladimiros Kafkarides School of Drama. Currently, she is employed as a Project Adviser in the field of Humanities and Social Sciences at the European Research Council Executive Agency in Brussels, while pursuing her research interests independently.